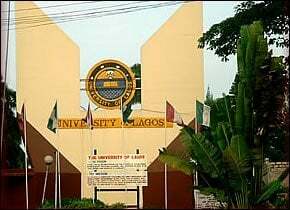 University of Lagos, UNILAG career week for 2014/2015 academic session final year students. Assessment and correction of students’ Curriculum Vitae (CV). Exposure of students to interview with Human Resource experts. Improvement of student’s employability skills through seminar. Interested final year students are advised to submit four (4) copies of their CVs at the Counseling Centre, Students Affairs Division (Top of Bookshop Building, UNILAG, Akoka) on or before Friday, August 21, 2015. Assessment of these CVs will be on first come, first to be served basis. CV Vetting and Dummy Interview by Human Resource experts from Career Development Network (CD Net), Jobberman, and POISE Graduate Finishing School. CV Vetting and dummy interview by Human Resource experts from W-Holistic Business Solutions, Career Solutions Africa and JOB RED. Documentary on last year’s CV vetting and dummy interview, Seminar on Job Hunting Skills and Career Fair. Multi-Purpose Halls ‘A’, ‘B’ and ‘C’. Presentations by Counseling Unit, NYSC, NDE and NIMN and interaction between final year students and out-going corpers. Multi-Purpose Halls A and B. Next Post: www.waecdirect.org | 2018 WAEC Result Checker - FREE!